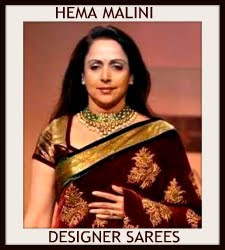 Vidya attended an interactive session hosted by FICCI at Hyderabad wearing a red saree, paired with a quarter sleeves, white and black checkered blouse. 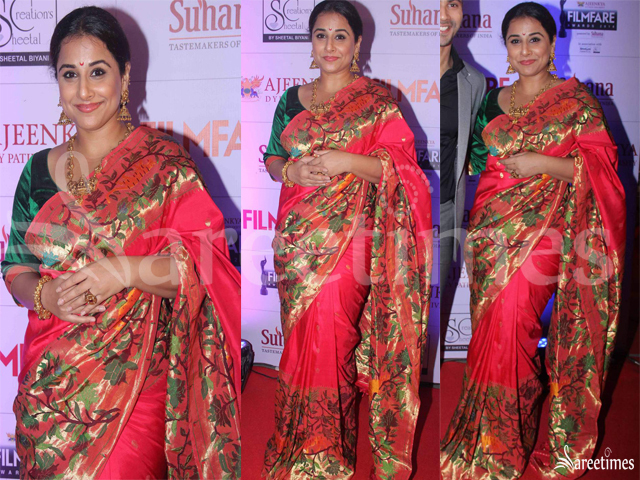 Vidya Balan at“Mera Woh Matlab Nahin Tha” play in a printed Anavila saree paired with three quarter sleeves blouse. 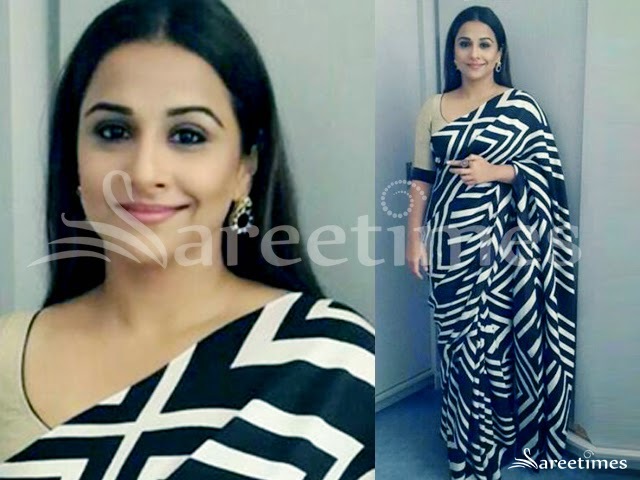 Vidya Balan in a black bengali cotton saree paired with temple border followed by contrast grey pallu with quarter sleeves round neck blouse. 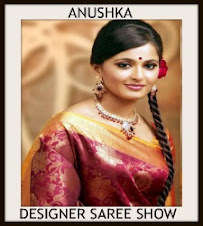 Vidya Balan inaugurated the MP crafts and handloom exhibition in Mumbai. 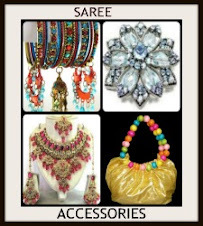 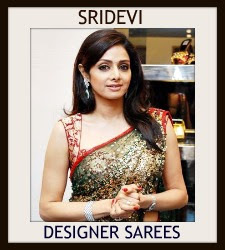 She was seen in a pink and yellow combination saree by Raw Mango,paired with a yellow elbow length sleeves blouse. 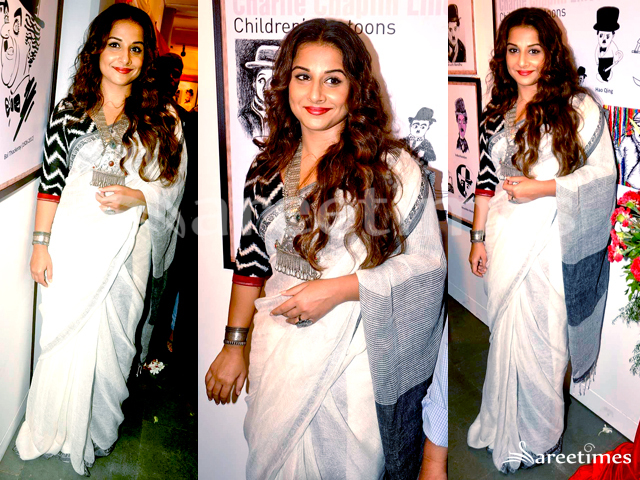 Vidya Balan inaugurated the Charlie Chaplin art exhibition in Mumbai. 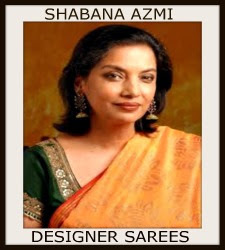 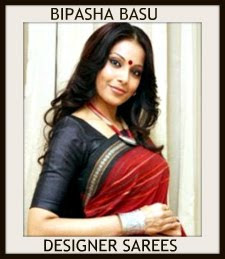 She was wearing a plain white saree with patterned pallu, paired with a zig-zag pattern, black and white elbow length blouse. 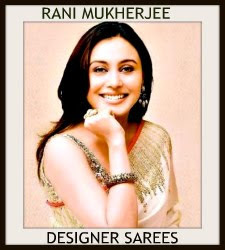 Vidya Balan was seen at the IMC ladies event in a hand woven black saree, by designer Anavila, paired with a quarter sleeve grey blouse. 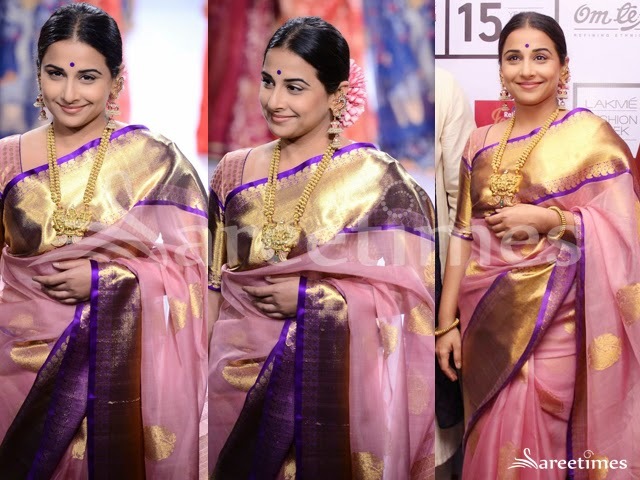 Vidya Balan at a special convocation ceremony held in Mumbai.For the event she wore a pink and gold traditional kanjeevaram silk saree paired with pink three quarter sleeves blouse. 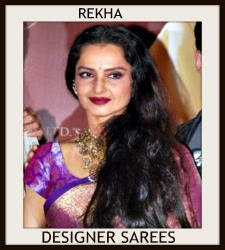 Vidya Balan at the sets of Udaan TV show in a wine red color saree featuring gold embellished borders paired with matching three quarter sleeves blouse. 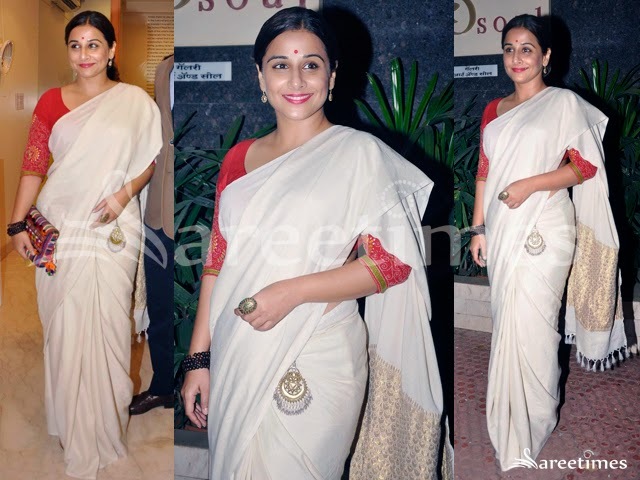 Vidya Balan at a recent event in an ombre yellow and grey handwoven linen saree paired with white floral print three quarter sleeves blouse by Anavila. 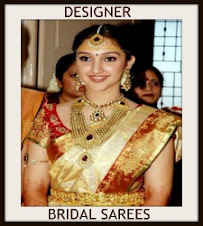 Actress Vidyabalan at JFW Women’s Summit beautiful in yellow mirror work saree designed by Ritu kumar .Embroidery patch border around the bottom paired with contrast green quarter sleeves and round neck blouse . 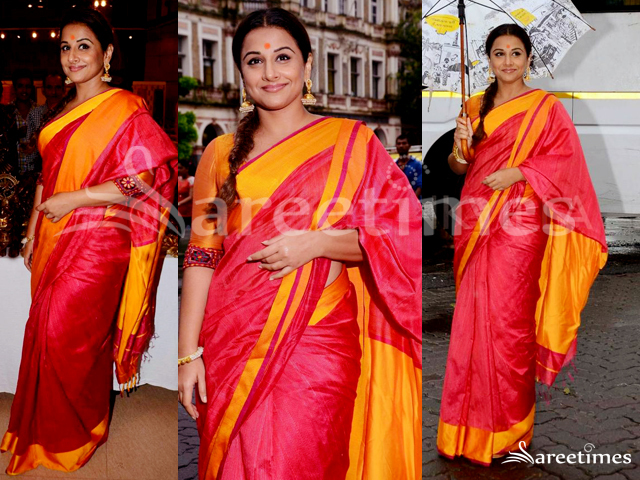 Vidya Balan at Lakme Fashion Week Resort 2015 in Gaurang Shah peach traditional organza kanjeevaram saree. 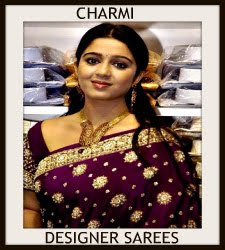 Gold and purple border saree paired with matching elbow length sleeves blouse. 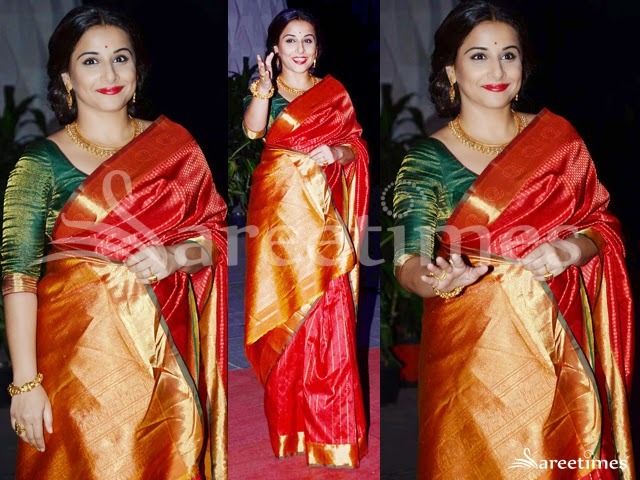 Vidya Balan at Tulsi Kumar-Hitesh Ralhan wedding reception wearing a traditional silk saree. 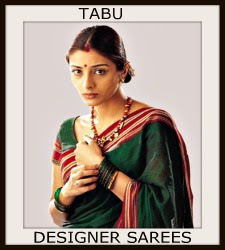 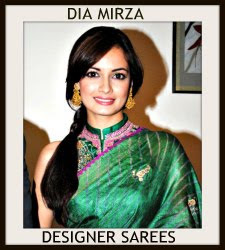 Red silk saree with gold zari border paired with green blouse.